3rd Saturday - 4:00 P.M. The Arima Santa Rosa Lions Club has a rich history in lionism. The club was originally formed in 1980 and functioned under the name the Trinidad East Lioness Club. In 1985 the name was changed to the Arima Lioness Club. 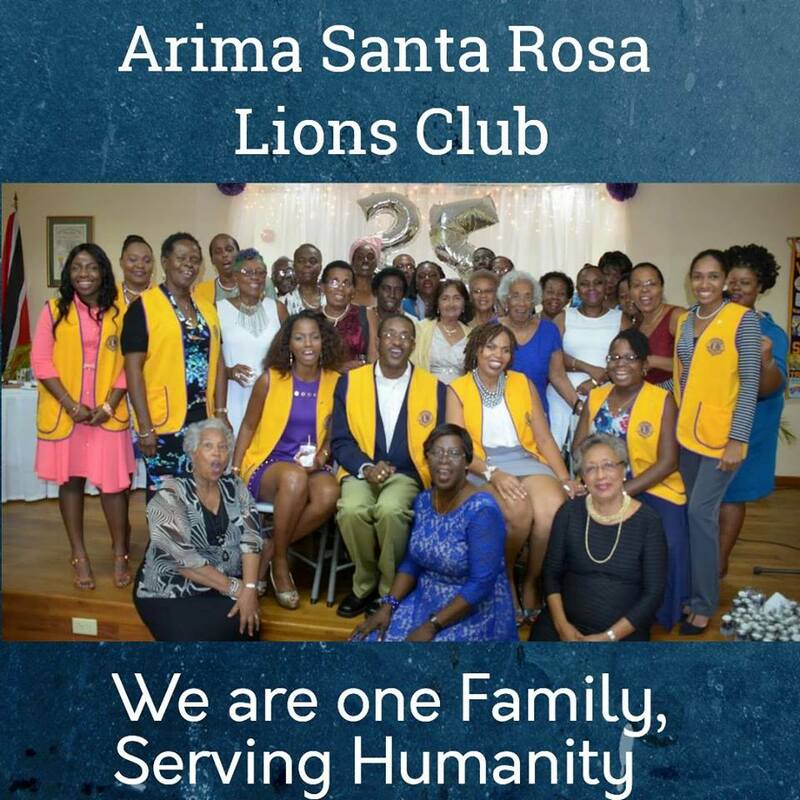 This club became what we know today as the Arima Santa Rosa Lions Club when it was chartered on August 06, 1992. The geographical areas of Trinidad which the club serves extends from the Valencia Bridge in the east to Lopinot Junction in the west and from Basso Seco n the North to Mundo Nuevo in the South. The mission of our club is embedded in the enduring mission of Lions Clubs International 'to empower volunteers to serve their communities, meet humanitarian needs, encourage peace and promote international understanding through Lions Clubs'. This is embodded by our vision; which is to be a leading service club which provides voluntary humanitarian service through the implementation of quality programmes and activities designed to improve the quality of life of the persons who are served.